In Year 2 as part of our computing work, we have been exploring how to create our own spider charts or mind maps on a new piece of software called FreeMind. Our topic at the moment is ‘into the woods’ and in pairs we generated questions that we would like to research the answers to. 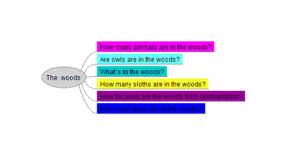 We have learnt how to create our own spider charts or mind maps on the computers, using ‘nodes’ to insert a new idea into our mind maps. 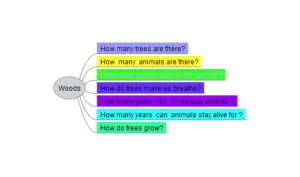 In our next lesson we are going to research the answers to our questions and then new ‘nodes’ to insert our answers. Watch this space to see our completed mind maps in the coming week!